I hope you had a great weekend! 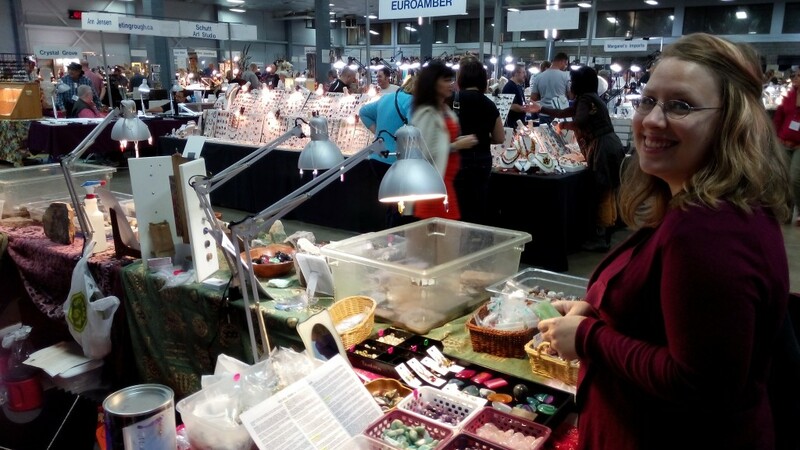 I went out yesterday to one of my favourite events – the annual Gem and Mineral Show! 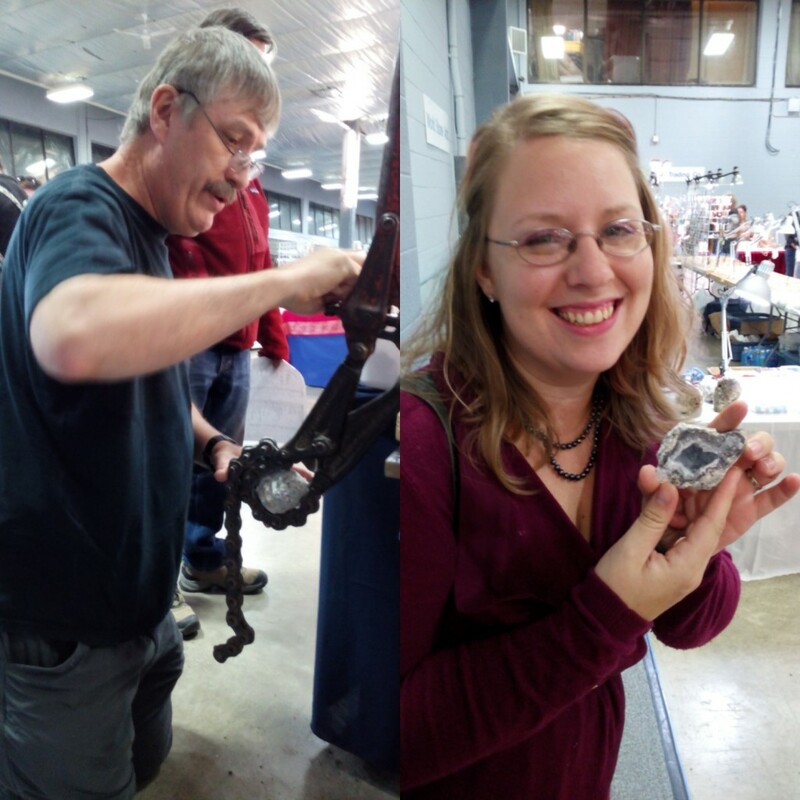 The Ottawa Lapidary and Mineral Club puts the show on each year, and it’s always a great time. I inevitably find a lot of stones that are new to me, see some lovely cut gems and jewellery,and wind up with a great haul of new goodies to work with. I went with a friend and fellow jewellery-maker, Trish. 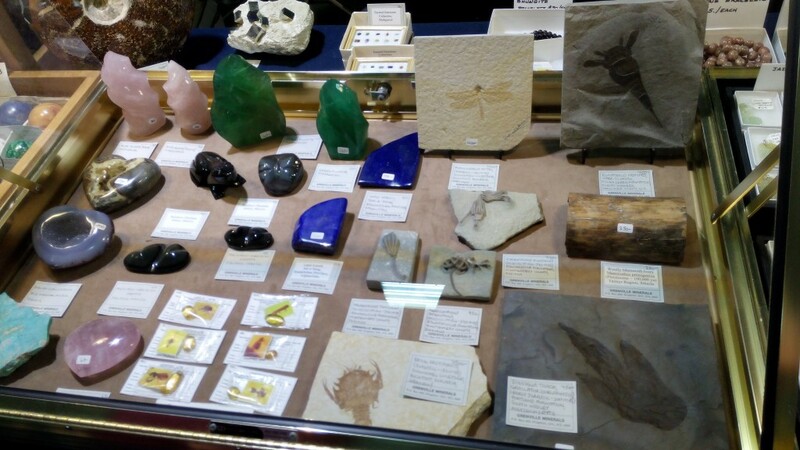 We did a tour of the show, starting near a gentleman who had some rocks ready to split open to see what was inside. We picked one, and he cracked it open. Inside, our geode had some lovely sparkly quartz crystals. Pretty! Cracking the geode, and Trish showing the sparkly inside! We circled the show, and there was a lot to see. I was pretty modest with my purchases, but had a great time looking at all the wonderful stones.